Throm was also experiencing a central challenge many business owners face during growth, which was the decision whether to handle employee paperwork himself or have a PEO take the burden off his shoulders. 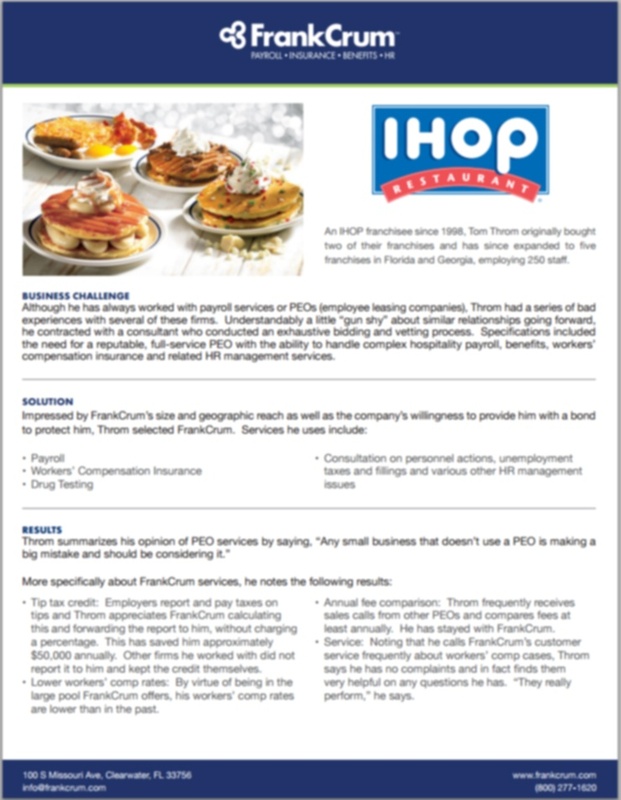 Our free case study shows why Throm chose to move forward with FrankCrum. No matter what experiences you've had in the past, at FrankCrum you gain exclusive access to our HR consulting services through our senior-level HR specialists along with a dedicated team who is committed to customizing comprehensive HR solutions for your business!